The University of Alaska Southeast is pleased to announce the appointment of a new Dean of Arts and Sciences. Dr. Marsha Sousa comes to UAS from the University of Alaska Fairbanks Community and Technical College, where she served as Associate Dean. Sousa worked with UAS Provost Rick Caulfield when he was Director of the UAF Community and Technical College. Sousa worked at UAF since 1989 in several capacities including as faculty and director of allied health programs. She has taught classes in physiology, biology, allied health, and developmental math, and given lectures to students in veterinary medicine and graduate students in physiology. Her research specialty is on the reproductive cycles in mink, caribou, musk ox and reindeer. 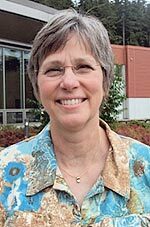 Early in her UAF career Sousa was awarded the Outstanding Introductory Teacher of the Year for the College of Natural Science and Mathematics and in 2009 was awarded the Usibelli Award for Distinguished Teaching for UAF. Sousa’s goal is to “support faculty to help our students meet their educational goals.” Sousa is also excited about working in a small school, where there is higher level of student-faculty interaction. “I have been so impressed with the collegiality and interdisciplinary work of the faculty and the respect they hold for their colleagues. It is very unique in institutions of higher education,” she said. Sousa received her BS in 1974 and PhD in 1982 from the Department of Physiology and Biophysics at Colorado State University. She is scheduled to start work at UAS in late September.